At January’s SoCal Dime Stories, three authors’ readings were selected as the stand-outs of the night. These authors are Bernie Nofel, Like the Witch to the Scarecrow, Tim Callaway, Kumundrum, and Cheryl Sonstein, Put It In a Bubble. and Erica Bouris for The Border (no audio). Congratulations to them and hope you enjoy listening! These pieces are now eligible to be considered for Dime Stories Podcast. COMING SOON: December 2016 SoCal Standouts! DimeStories Orange County Open Mic, scheduled to occur on Sunday, August 14, 2016 5:00 PM has been cancelled. Please update your plans accordingly. As always, sign-ups begin at 5:00 pm, and we begin readings at 5:30 pm. Thanks to everyone for participating – both our readers and our listeners. See you in June! 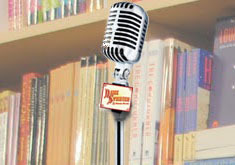 Read your three minute story in a lovely location with great atmosphere. Sign in begins at 5:00 and we start the readings at 5:30.
iTunes is singing our song! Give DimeStories podcasts subscriptions to your lover for Valentine’s Day! It’s free! But they’ll never suspect when they hear the likes of Jack Handey, Scott Carrier and our very own Scott Barbour and Victoria Melekian. Subscribe today, download the current episodes, sync your iPod and listen on your way to work. Many, many more dimestories are in production for future iTunes episodes. Want to be on iTunes? Then write your best damn story and read at one of our open mics. Our curators are standing by for selections. Author Amy WallenPosted on February 9, 2010 Categories News, UncategorizedLeave a comment on iTunes is singing our song! 2010 marks the return of the Dime-Offs. Mark your calendars for the second Tuesdays of the month. Dime-Offs will be at UCSD’s The Loft. Themes will be posted on the website and in the newsletter each month. January’s themes are: teeth and misunderstanding. 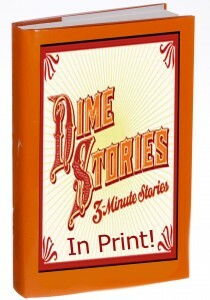 Join DimeStories on January 12 at 8pm to kick-off the Dime-Off! Author Amy WallenPosted on November 30, 2009 December 1, 2009 Categories Events, News, UncategorizedLeave a comment on January Dime-Off Themes available! Three San Diego Recordings Posted! The Ruby Room worked out splendidly for the crowd of over 50 this November. Looks like it’s going to work out just fine. For those of you stuck over in the hidey spot around the corner, next month we are going to rearrange the set up of the mic, so those on the balcony can see and hear all the goings on. Check out the San Diego page under Live Events on this website for the audience selected pieces posted this month! Did you make the cut? We have some fine selections. Every month you have a chance to get your piece posted as well. Just polish til it shines! Let us know what you think of the Ruby Room, or anything else that’s on your mind, by leaving a comment below. We love hearing from you. Author Amy WallenPosted on November 16, 2009 November 16, 2009 Categories Events, UncategorizedLeave a comment on Three San Diego Recordings Posted!